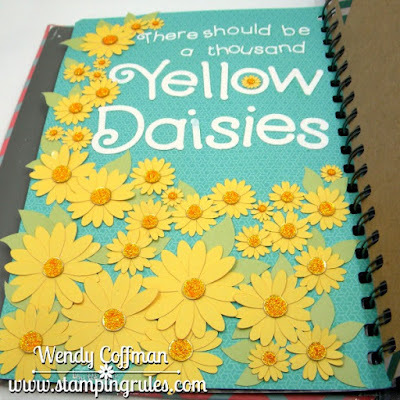 Welcome to the Scrapping Our Stash monthly blog hop! In this hop you'll find creative project made entirely from items just hanging out in our stash of crafty goodies. You may be arriving here from CHRISTINE'S BLOG. Below this post you'll find a list of all the hoppers for this month. This page for my Gilmore Girls My Crush Swap group may be one of my favorite things I've made this summer. Each flower was crafted from individual flowers cut on the Cricut. We send our Gilmore Girls crush books from person to person,c rafting pages for all the fans in our swap group! I topped each flower with a gold sequin and then filled the sequins with layers of orange glitter gel. It's so sparkly! Next up on the hop is MAJKEN'S BLOG. Happy hopping! 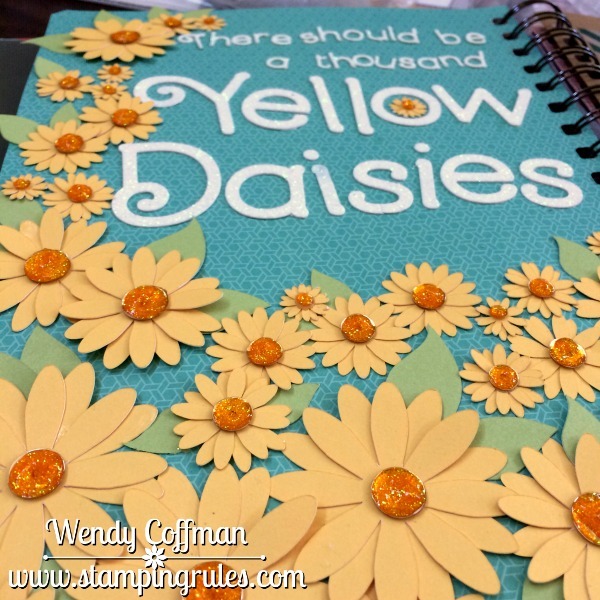 Wendy @ Stamping Rules - YOU ARE HERE! Love your beautiful page. What a neat idea filling the sequins with glitter gel, very pretty. Like a beautiful field of daisies.....so pretty! LOVE this...love even MORE that I'm the lucky recipient of this FABULOUS page!!! You're so talented!